Welcome to Dr. Tamara Eaton's Web Site. Dr. Eaton is an experienced and conscientious dental practitioner providing the best in dental care to patients of all ages, and is committed to making every patients' experience pleasant. Dr. Eaton's patients appreciate her gentle and comprehensive approach to oral health. She takes the time to get to know you, enabling her to consider your lifestyle and individual needs in caring for your teeth. 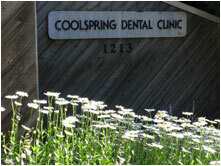 Contact us today for a new experience in dentistry!